The parish of St. Mary of The Angels and St. Clare was founded in 1853, comprising 7 local districts. In 1871, a group of Belgian Poor Clare Sisters settled in Levenshulme, on what is now Clare Road and is the site of our current school. In 1898 a purpose-built school was erected to replace the day and evening schools which had been used since the foundation of the parish. This building consisted of 3 classrooms and a hall and with Miss Agnes Holt as Headteacher, had around 44 children for morning lessons and 47 for afternoon lessons. Over the years the number of children attending school grew and a new temporary structure was built in 1914 to better meet requirements. 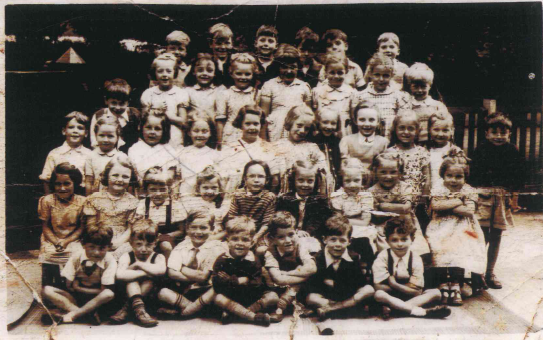 In 1957, approval was granted for the construction of a new school, which opened in phases between 1961 and 1973. On 31st August 1978, the Poor Clare Sisters who had been such a prayerful presence in the parish and community for so many decades, left Levenshulme. The old church and convent were demolished in 1980, to allow the extension of the school grounds. In the 160 years since the Parish and school were founded, a great many children have been pupils at St Mary’s. Indeed, a number of these former pupils are now parents whose own children attend the school. We would like to hear about your memories of St Mary's from the past decades. If you were a pupil or parent at the school in years gone by and have any interesting stories or recollections to share, please email a brief description (around 50 words) to admin@stmaryslevenshulme.org.uk or drop them into the school office. We'd love to see any photos of your time at the school as well - we can scan and return them asap. My name is John Morgan and I am a past pupil. This is a photo of when I was at St Mary’s and was taken 1951-52. I now live in Victoria, Australia. I am sitting on the Top Row, 3rd child from the left. My name is Danielle Colleton-Bowen and I am a past pupil. This photograph is from 1996 with Mr O’Donnell when I was in Year 6. 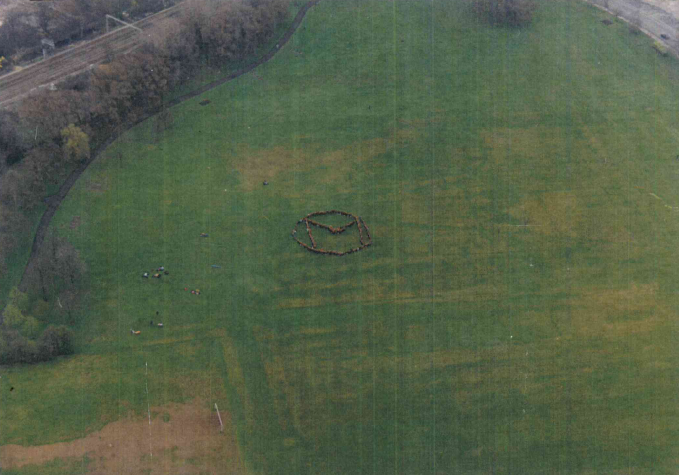 The photo was taken in Cringle Fields where we had to stand together to make a giant ‘M’ and a helicopter took our photo! My name is Michael Tracy Turner. Along with my twin brother Stephen I attended St Mary's Levenshulme from 1952 through 1963. My elder brothers and sisters. John/Tony/James/Carole/Maureen were at the School prior to '63. John the eldest (deceased 2011) started at the school in 1939 two days after the 2nd World War was announced. Carole sang on a recording made by St Mary's Choir of the Allelujah Chorus led by teacher Frank Doyle (Ahead of his time). 35,000 copies sold around Manchester and region. Blackwell/Dobson/Doyle/Johnson/Hodgekinson/Mulhall and More were brilliant, doing their best under difficult circumstances. Personally I left for London at 19 attending several educational establishments over the years whilst fighting for my life trying to compete in business with more confident folk than me. I eventually achieved degree level then moving to Scotland in 1980 attending Edinburgh University to complete a post grad DMS. whilst achieving a fairly senior position in an International Business. (Now 75% retired attempting to reduce my golf handicap and hair loss in East Lothian Scotland. One regret from St Mary's. In 1962 there were a number of student teachers from Prestwick teaching college learning the ropes at St Mary's, one in particular (I forget her name) a lady with a lovely personality. She was delivering some literature to us in the form of the famous 'John Gilpin'. Stupid me, not paying attention as usual I was rounded on by this really nice young lady who asked me "OK Mr Turner what was John Gilpin About?” "Five Foot Three" I replied quickly, bringing the class to its knees. I have regretted this incident all my life because she was just so nice and yet blushing over my stupidity. Can I say a belated apology to her and the School. So glad to hear you are still going strong. My name is Trevor Shuttleworth. 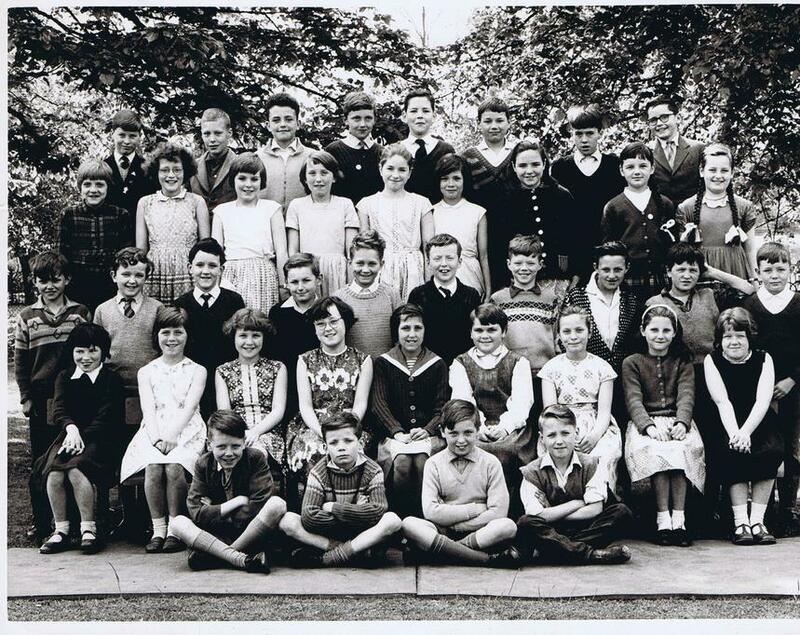 I am a past pupil at Saint Mary's RC Primary School from 1956 to 1962, give or take. Just working back from the fact that I was born in October 1951 but I’ve always had a terrible memory for dates. I went on to Xaverian College and, from there, to Liverpool University. I’ve worked in IT all my life but I’m now semi-retired and working for myself. I found this photograph in the loft when I was sorting out and thought it would be nice to share. I’m on the back row, far left.